Our thoughts and emotions can influence our physical states and vice versa. When we’re stressed, we tend to take short, rapid breaths of air. 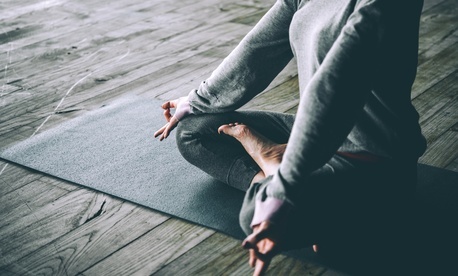 Conversely, mental health professionals often tell patients with anxiety or depression to take deep breaths as a way of calming down, and yoga practitioners know pranayama as the controlled breathing to shut down anxious thoughts during sessions. But how this mind-body connection works has been something of a black box for brain researchers. On March 30, a group led by scientists at Stanford University Medical Center and the University of California-San Francisco published (paywall) work that illuminates the specific neurons that act as a bridge between mental and physical arousal. Understanding these cells could be used to develop new therapies for mental health conditions. The team decided to break down this control center into distinct parts and attempt to spot the cluster that influence rhythmic breathing specifically. Working in mouse models (for obvious reasons), Krasnow and his team wiped out a patch of 175 neurons they selected based on previous knowledge of mouse genes associated with breathing. Then, they waited to see if their test mice started breathing erratically. The mice, however, didn’t appear bothered at all by their missing neurons. They were fine. Better than fine, even—rather than sniffing and exploring around their containers as mice typically do, they were content to groom themselves and sit peacefully. “They had become chill. Mellow fellows,” Krasnow told NPR. The experiment seemed like a failure to some of the researchers, until they realize what had actually happened. It appears that in knocking out these 175 neurons, the team had cut the connections between arousal and breathing patterns. That had two impacts: First, without communication from other parts of the brain that process sensory input that would normally put mice on alert, their breathing control center never never had a reason to speed up breaths. Conversely, without that rapid breathing, mice never have any reason to be more anxious. So, they lazed around and relaxed. It’s impossible to tell whether the mice were really enjoying their new, anxiety-free life. Primping instead of probing doesn’t necessarily scale up to actual emotion, and even if it did, it’s not as if the mice could explain to the human researchers how they were feeling about it all. But now that scientists know that this one patch of neurons dramatically impacts the rate of breathing, scientists have a starting point to develop new ways to physically manipulate emotional states in patients who suffer from anxiety or depression.